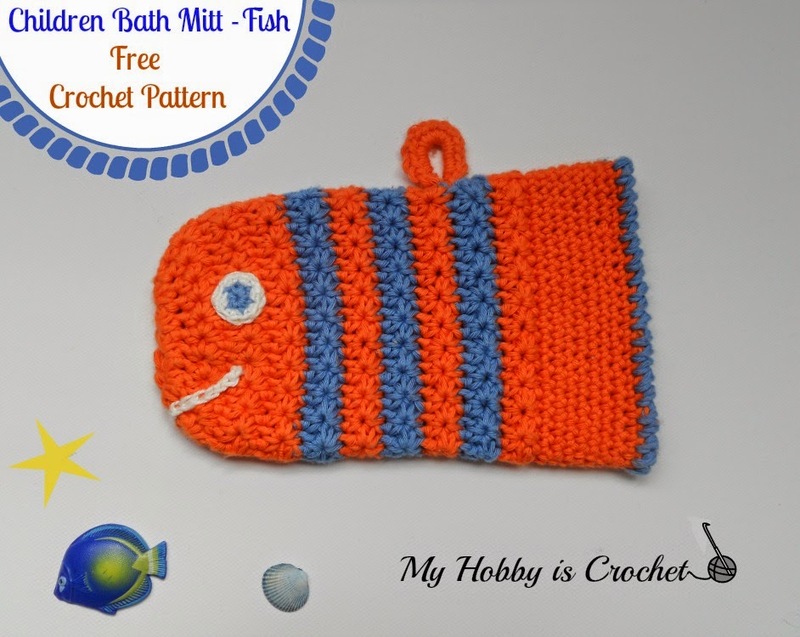 This cute Fish Crochet Bath Mitt will make bathing time much more fun for the kids. 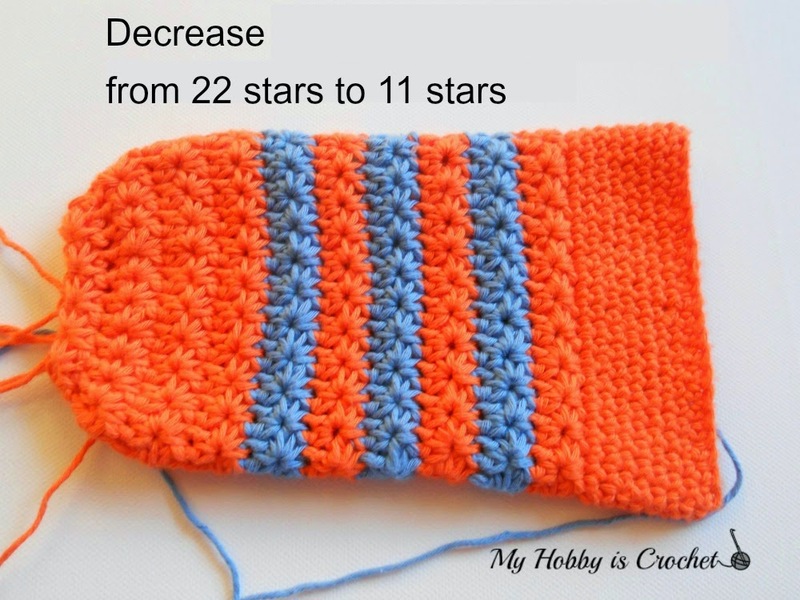 I designed it to match the „Star Stitch Washcloth“. Finished Size: 20 cm length and 26 cm circumference. 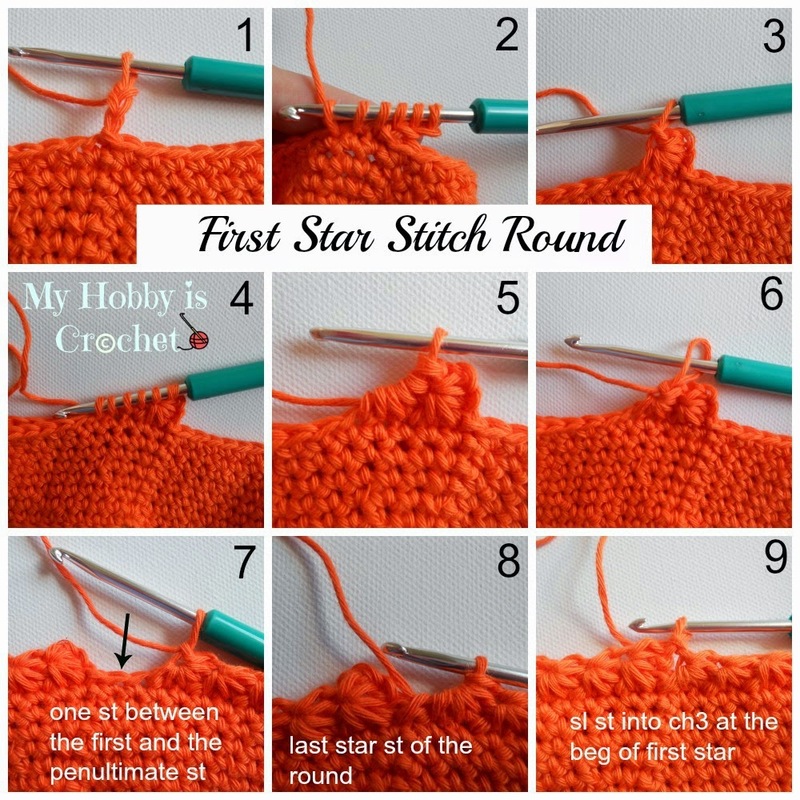 Star stitch - explained in the pattern. 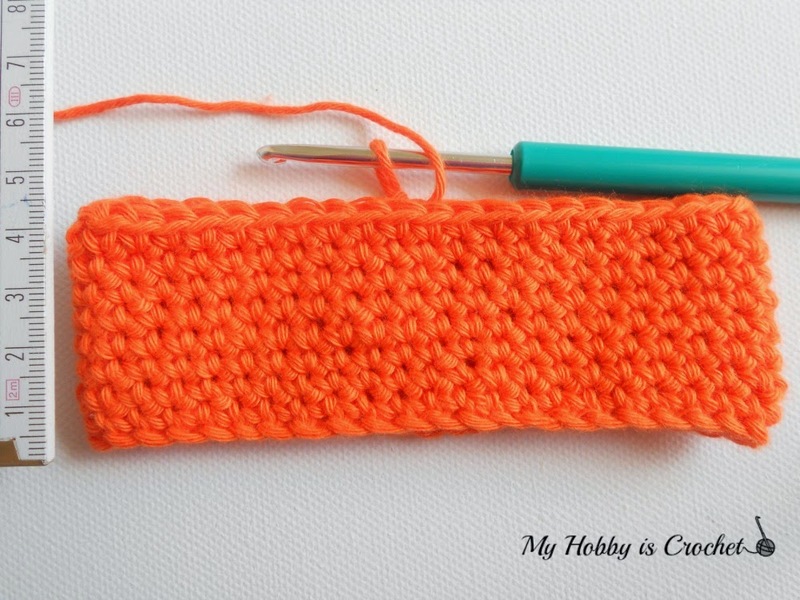 For a visual of the star stitch only, you can watch this Video Tutorial by Tamara from Moogly Blog. Twisted sc - See my Tutorial. Special term: Back bump behind the chain - See my Tutorial. Notes: The mitt is worked in rounds starting at tail. 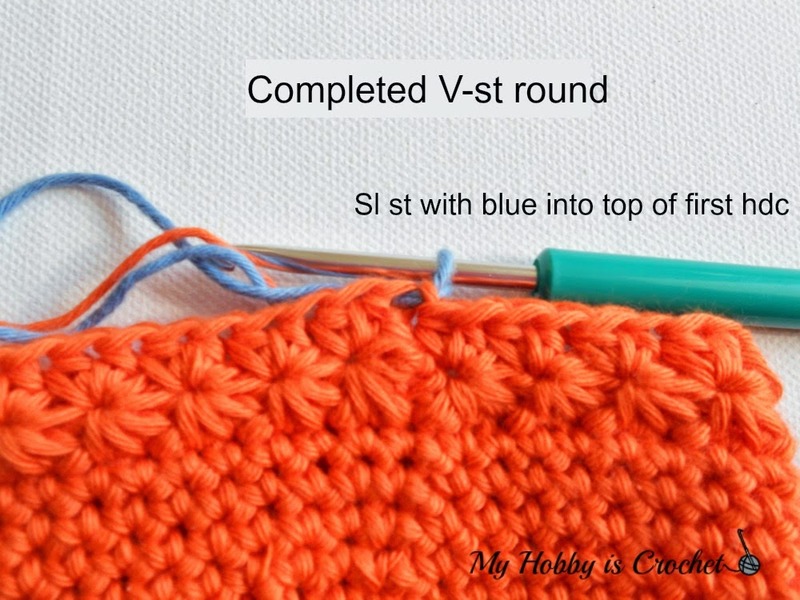 Color change: The color change will be made at the end of the V st. rows; work the last hdc of the row till half , having 3 loops on hook, join color B and finish the hdc with color B. Each stripe will be made of 2 rounds: one star st, one V-st. Begin with 44 ch, being careful not to twist, join with sl st into round. The Star Stitch worked in rounds it's a multiple of 2, that means: for each star you will need 2 stitches. 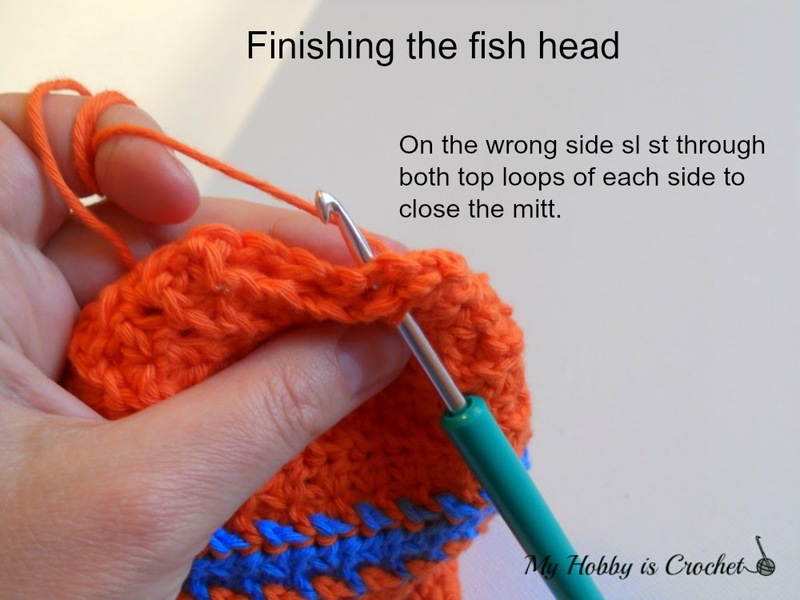 ch 1 to close the star stitch. Cut yarn leaving a long tail. Turn the mitt inside out. Ch 1, sl st along the 2 sides of the head, working through both top loops of the stitches. Fasten off. Weave in the ends. Join blue yarn with sl st into the foundation chain at the beginning of the mitt. Work twisted sc (alternative you can use the crab stitch) into each st around. Fasten off invisibly. 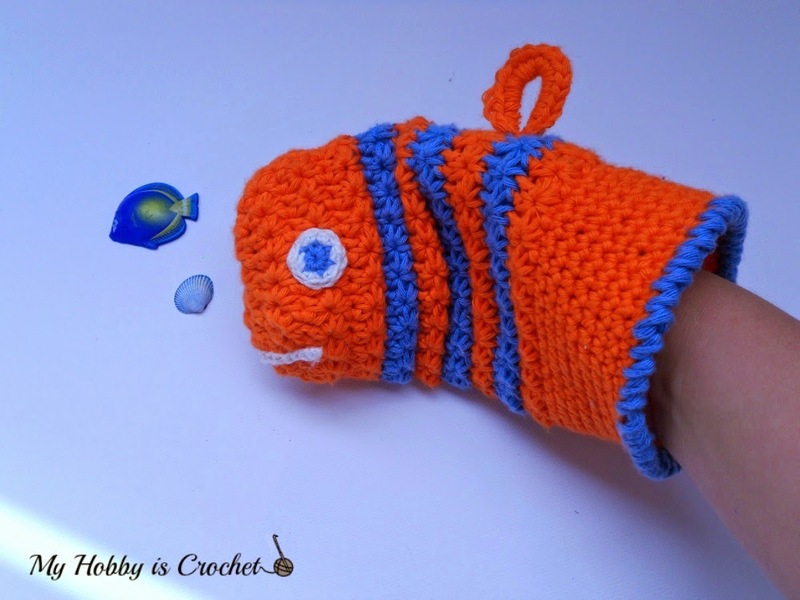 Join orange yarn with sl st on the back (dorsal) of the fish mitt. Chain 12 and sl st back into same st as yarn joining. Ch 1, turn and work 18 sc into ch space, covering the chains completely. Cut yarn and sew the ends more times to secure. Round 2: Continue with white yarn, ch 1, 2 sc into each st around. (12 sts). Cut yarn leaving a long tail to sew the eyes in place. Fasten off invisibly. Weave in the ends. Sew the eyes symmetrically on the sides of the head. Version 1: With white yarn chain 14 leaving a long tail on each side. Sew the mouth on. Version 2: Crochet the mouth directly on head with surface crochet.